Conveniently located directly next to Munich-Laim Train Station, this accommodation offers bright, spacious rooms and free WiFi. It lies just 4 km from the centre of Munich. 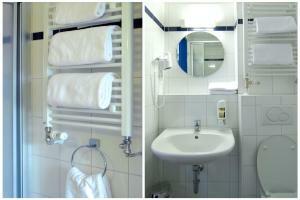 All rooms at a&o München Laim are decorated with parquet floors and a bright colour scheme. 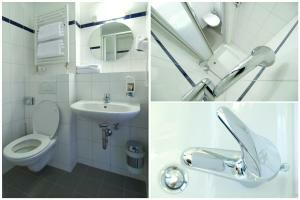 The shared rooms have lockers, and all bathrooms include a shower. A 24-hour front desk, a bar and a snack bar are all features at a&o München Laim. A rich breakfast buffet is also available for an additional fee. Guests can relax in the shared lounge, or enjoy a game of billiards or table football. A Wii player and karaoke machine can also be made use of. Guests can enjoy satellite TV broadcasting various sport channels in the lobby and bar. Munich Main Train Station is 4.5 km from a&o München Laim, and the A8 motorway is 6 km away.